Russian Military Analysts are reporting in the Kremlin today that the United States has, for the first time in its history, granted rights to a Foreign Army to have ‘full power’ over the life and death of American Citizens in their own country. 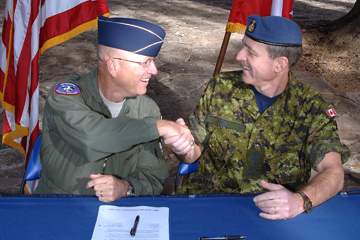 "U.S. Air Force Gen. Gene Renuart, commander of North American Aerospace Defense Command and U.S. Northern Command, and Canadian Air Force Lt.-Gen. Marc Dumais, commander of Canada Command, have signed a Civil Assistance Plan that allows the military from one nation to support the armed forces of the other nation during a civil emergency. 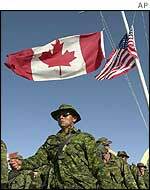 "Canada and the U.S. have signed an agreement that paves the way for the militaries from either nation to send troops across each other's borders during an emergency, but some are questioning why the Harper government has kept silent on the deal. 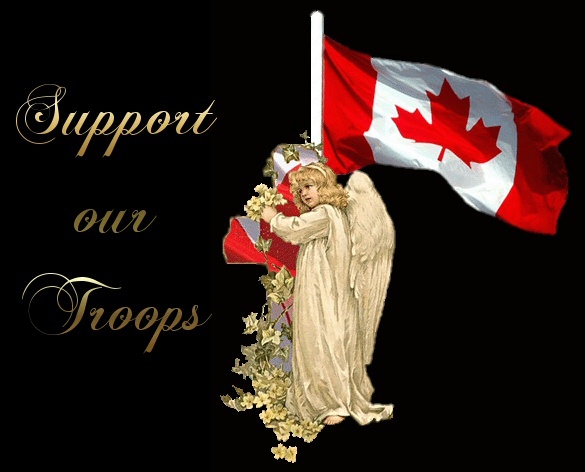 Neither the Canadian government nor the Canadian Forces announced the new agreement, which was signed Feb. 14 in Texas." "U.S. troops are being trained to conduct round-ups, confiscate guns and shoot American citizens, including their own friends and family members, as part of a long-standing program to prepare for the declaration of martial law, according to a soldier who recently returned from Iraq. Scott writes that his company hired a soldier who had recently returned from Iraq, who told him that U.S. troops were being quizzed on whether or not they would be prepared to shoot their own friends and family members during a national state of emergency in America." An estimated timeline in these reports states that the American people could begin seeing Canadian Soldiers in their cities as early as this summer, as many experts are predicting that the massive food shortages being reported all around the World will begin causing food riots in many American cities. "A WORSENING global food shortage is a problem far more urgent than climate change, top Australian scientists have warned. The Australian Science Media Centre briefing heard why prices for some staple foods had risen by as much as 60 per cent in the past year, and how dramatic price rises are expected to sweep across all staples in the near future."